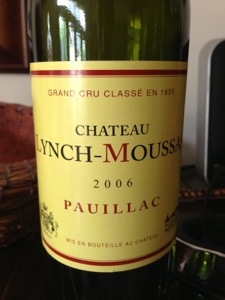 The most disappointing vintage of Lynch-Moussas I’ve ever tasted. Let’s just hope this is an ackward closed stage in its development. Currently hard, no fruit core sweetness, quite robust, acidic too. Completely not the charming red fruits style Pauillac that it is usually. An interesting wine 35% Cab Franc, 10 % Cab, 35% Malbec (which really shows) and only 20% Merlot. But in this vintage it hasn’t been able to age. Prune characters are dustracting. Low acid. Lacks vivacity. Drink your 2003 Bordeaux now. Whoa. There is still obvious, very fine, new oak. Still fresh with youthful acidity. Fine fruit, not cool climate but far from heavy or sweet. Strange wine in that some elements are built for the very long term, but also a touch of aged oxidation. That’s why some bottles of Wendouree are sublime and others so so. Thank goodness they are using screwcap now because corks just aren’t up to wines with this longevity. Note: point scores inevitably take some account of price (a $10 wine that scores 90 is not quite the same as a $100 wine that scores 90 pnts).